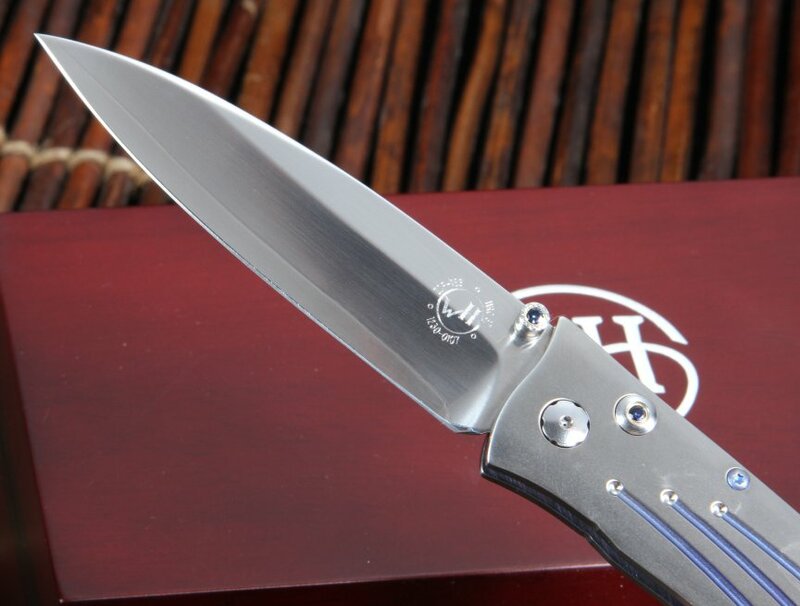 If you are in the market for a great, durable, folding knife that you can carry every day, the William Henry B30 Saturn - Gentac Model is an excellent option. It is light enough to carry in your pants or jacket pocket comfortably. This knife is made in America and is both lightweight and incredibly strong. The Gentac Model will perform well in almost any application you can throw at it, and it is so well made and thoughtfully crafted that it is also a work of art unto itself. The titanium frame handle and the Stainless ZDP-189 cutting core blade are both hand satin finished. It weighs in at a mere 1.9 oz and is 7.00" (177.8mm) when open; the blade is 3.25" (82.5mm). This folding knife comes with a button lock for security while cutting and easy closure when the job is complete. William Henry is a brand that is committed to excellence. Each knife they make is adjusted, put together, and finished by hand, making a masterpiece of each knife they design. Their attention to detail shines in the kashmire blue topaz inlays that adorn both the button lock and the thumb lug. 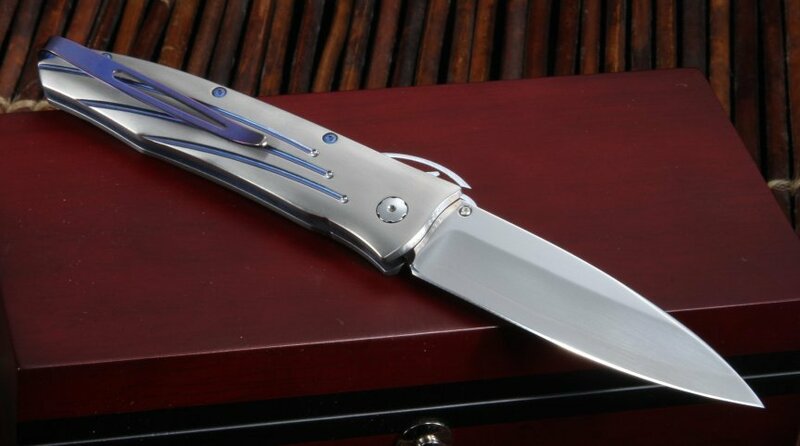 Other adornments that stand out on this knife are the blue anodized titanium pocket clip and blue anodized titanium accents on the handle. The electric blue is striking against the silver titanium. 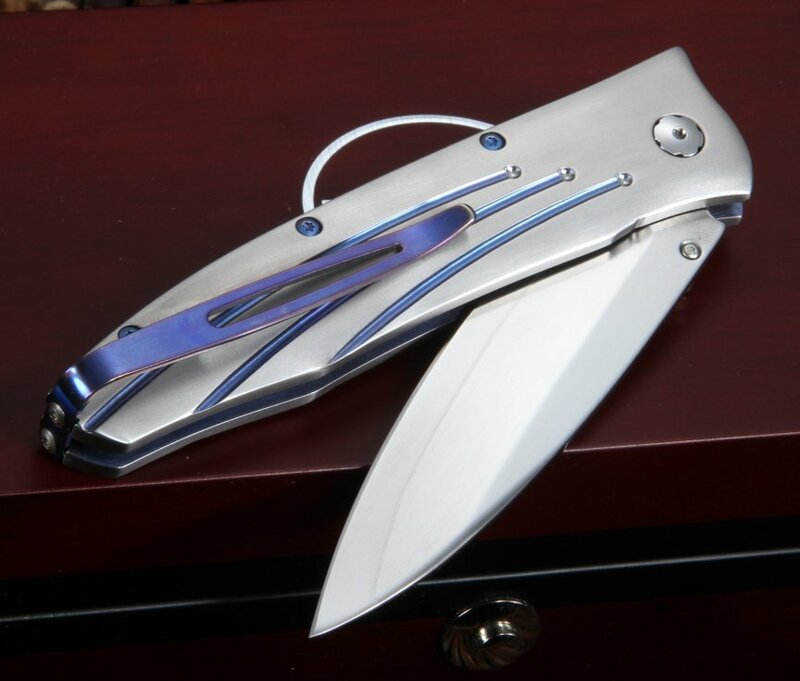 This model is a limited edition; each knife is individually numbered and comes complete with a certificate of authenticity. 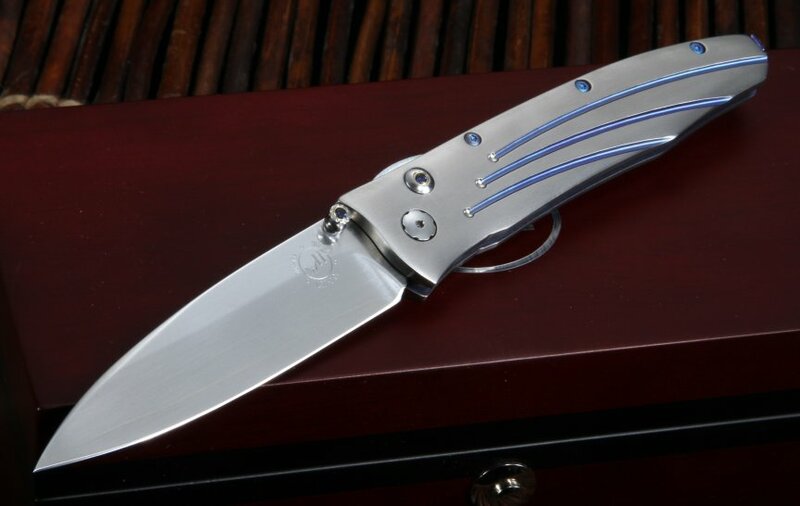 You will know the instant you lay eyes on it that you have purchased a unique, well-crafted knife that is both functional and refined. You will also receive a wood presentation box with your purchase. 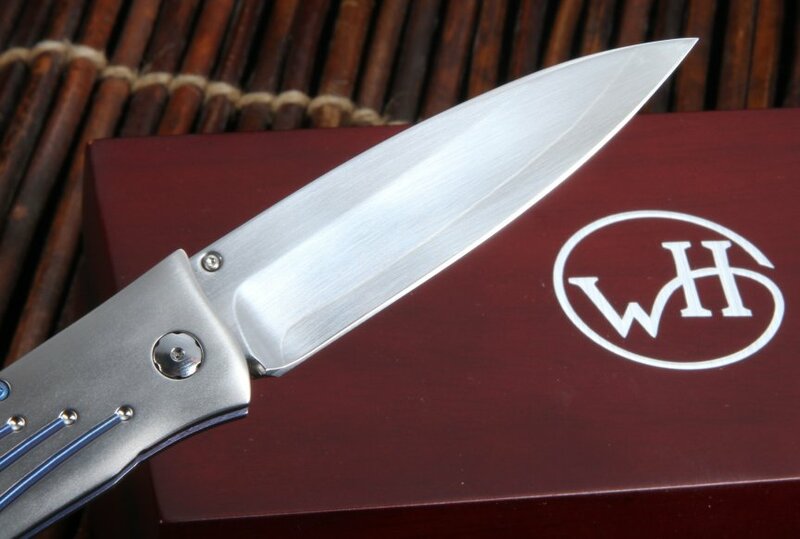 Own a piece of knife art today with this exquisite knife made by William Henry. purchased new knife, william henry,- b30saturn gentac.great folder,blade,made from san may, insyde, zdp189 supersteel,blade finished by masayuki matsuda, perfect mechanism,titanium handle with pocket clip and wonderful wooden box-.expressible! unfortunately,cannot make such gifts to myself often.